A building firm were to demolish an existing residential dwelling and construct a new one. 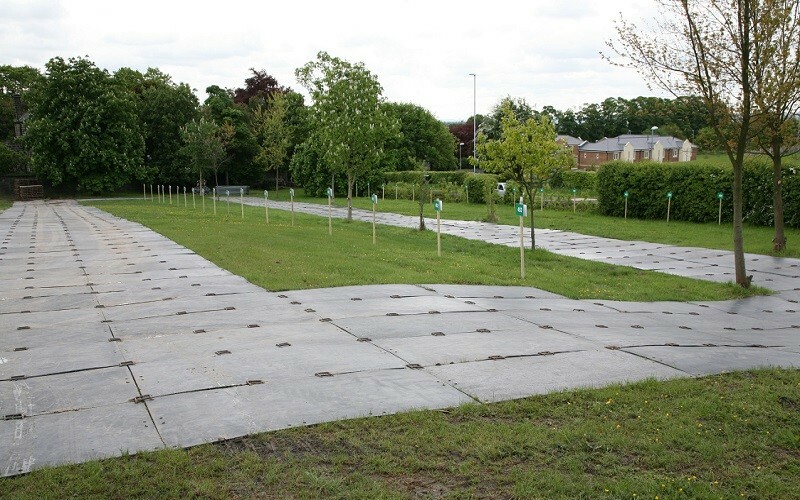 The report they obtained from an arboricultural consultant required the large trees in the front garden to be protected from site excavation works, soil compaction by vehicles and the use of impermeable materials such as concrete or tarmac. 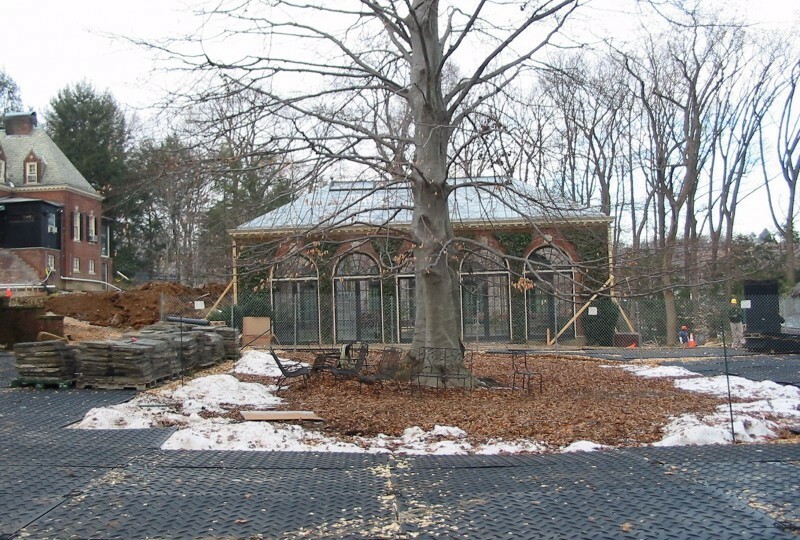 Since it is a legal requirement to protect tree roots from disruptive build projects, the company turned to Ground-Guards for help. A tree’s feeder roots can spread up to twice the length of the crown of the tree, spreading across a large grassed area. Ground-Guards’ recommended MultiTrack as a cost-effective, high quality solution. 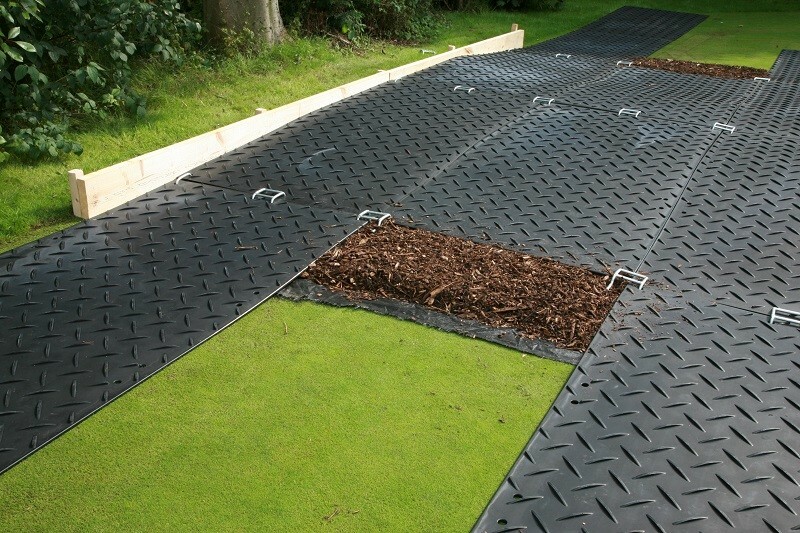 The strong, lightweight 39kg mats are easy to lay by hand, allowing safe, sturdy ground cover to be installed in next to no time. 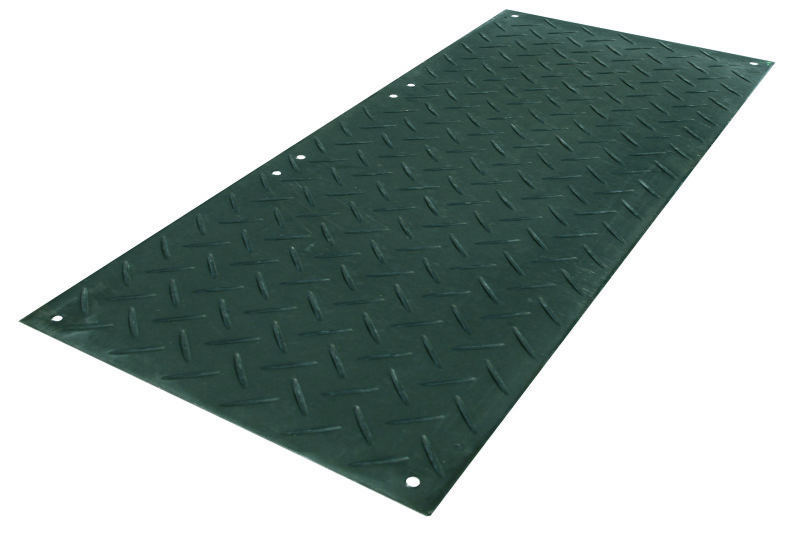 The company ended up purchasing (rather than hiring) MultiTrack as the mats are reusable for their next job. The project, which lasted 60 weeks, was a great success with no damage or severing of the tree roots.